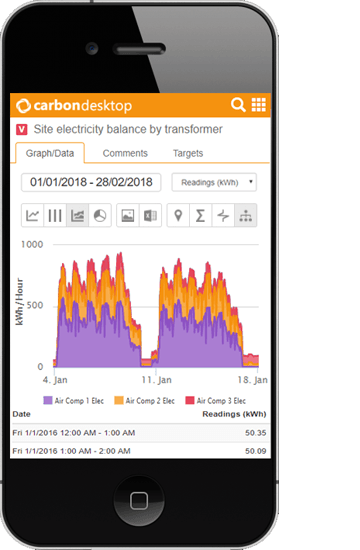 "Carbon Desktop has led to sustainable reductions in carbon emissions and multi-million pound costs savings over the last seven years." See your consumption in your local currency and track this spend against budgets. Pull data from any system, anywhere, using our flexible data capture engine. 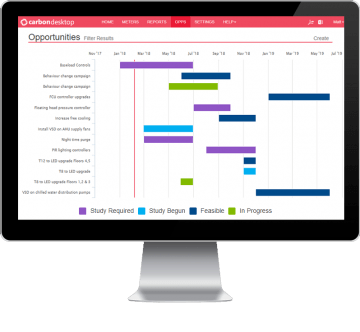 Use a suite of automatic tools to show you the opportunities. Track projects to demonstrate your achievements. Report on improvements and validate the business case for investment. 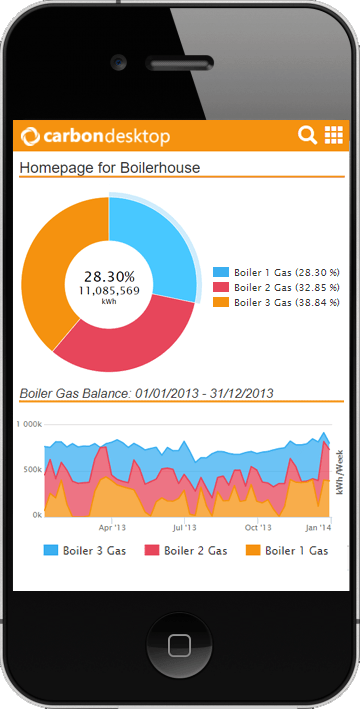 Capture data from fiscal meter points across all utilities, often possible with no additional hardware. Flexible options for capturing data from existing systems such as Building Management Systems and process control systems (SCADA). 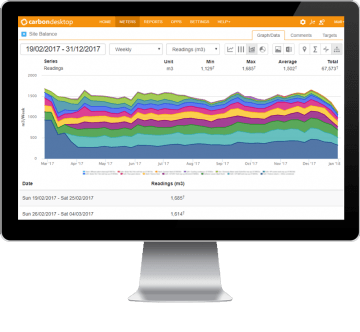 Cost-effective options for turn key solutions to collect a range of utility consumption data, including power quality data and peak flows. Integration with Microsoft’s Power Bi advanced reporting platform for unrivalled reporting outputs. 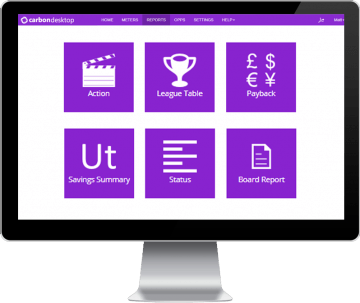 Use of Carbon Desktop’s in built report builder for rapid set up of customisable reports, dashboards and external display screens. 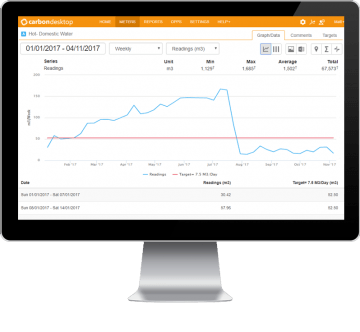 Set up instant and scheduled system alerts to keep on top of performance and unusual trends. Carbon Desktop is Verco’s industry-leading monitoring, alerting and reporting package. Verco is an award-winning energy management and sustainability business. Verco has rebranded for 2019!